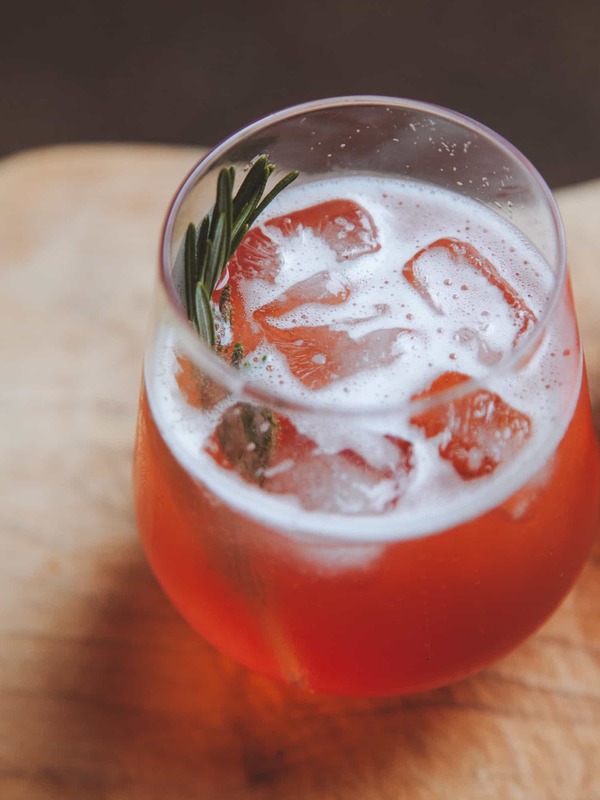 Bright and refreshing, this plum and rosemary prosecco spritz is a wonderful way to relax at the end of the day. 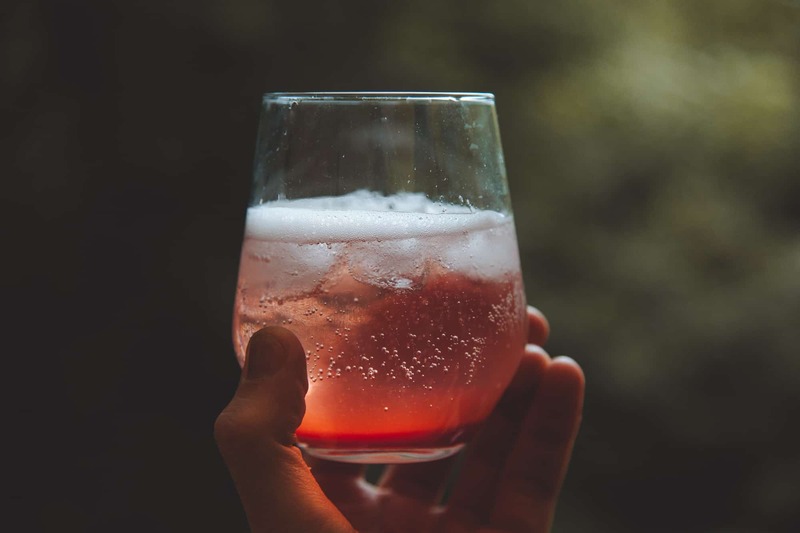 This campfire cocktail was shared by FOTG contributor Emily Hlavac Green as a complementary recipe to her Autumn Plum Skillet Tart dessert. 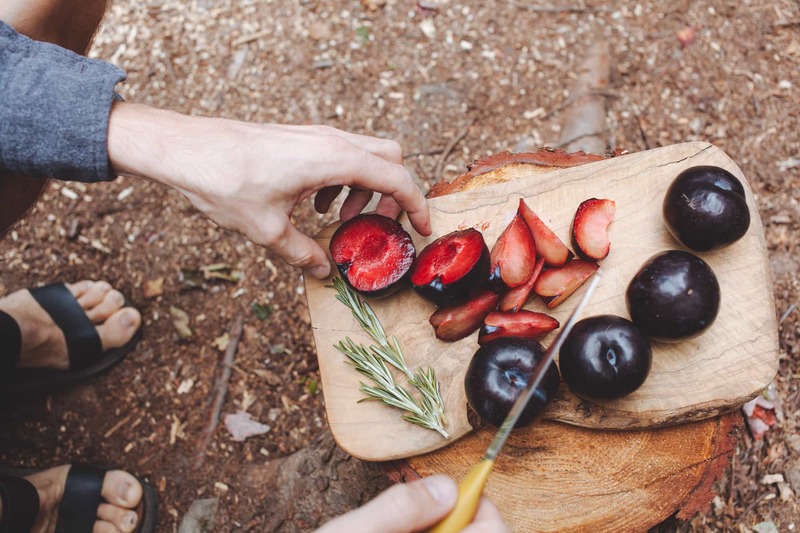 With a drink in one hand, a slice of tart in the other, and campfire at our feet, we can think of no better way to spend an evening outdoors. This might be the slippery slope towards glamping, but boy does it feel great! 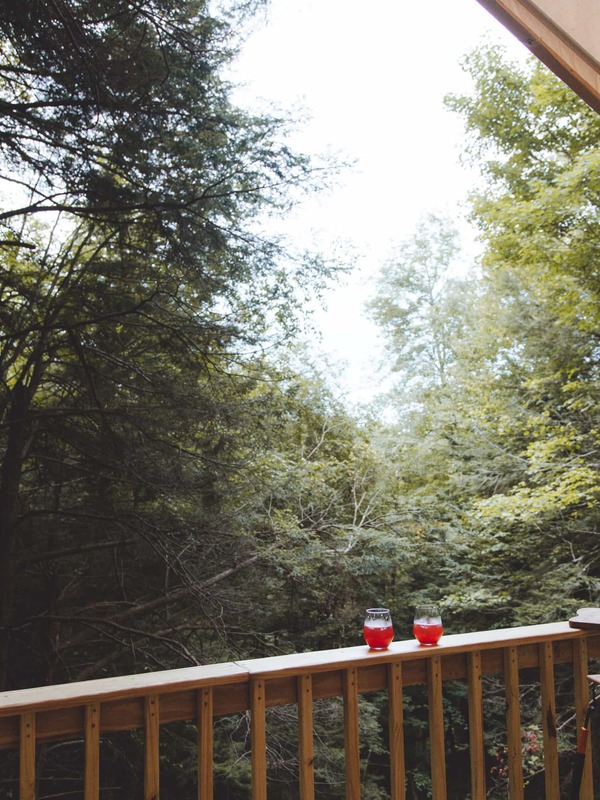 Recently we escaped for a weekend to a little camp spot up in the Catskill Mountains. Little did we know a storm was rolling in so the night was spent bundled up listening to rain on the tent roof. Luckily, we had planned ahead and splashed out on a bottle of prosecco and went crazy on juicy ripe plums from the market. Slice plums into wedges and put into a saucepan with half the coconut sugar and water. 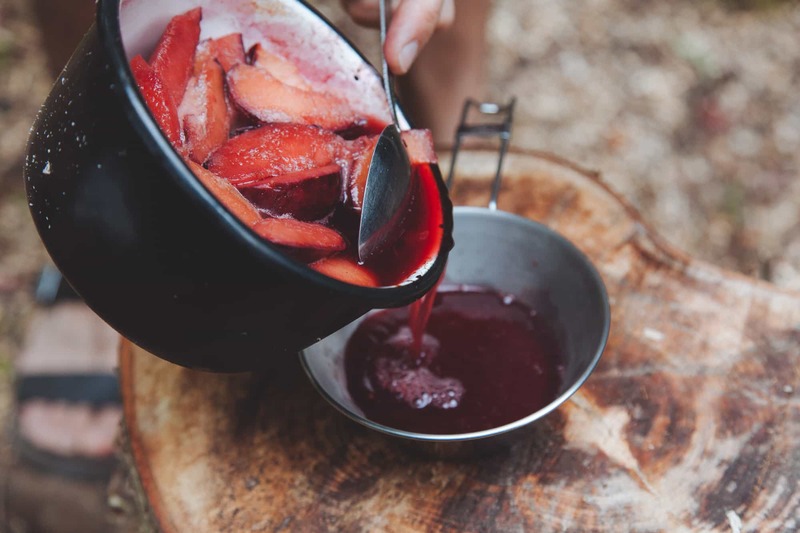 Bring to a boil then let simmer over the campfire, stirring when needed to stop it sticking, add more water if needed but the plums should begin to release moisture as they cook. Once the plum pieces are soft, pour the liquid into another pan and add the rest of the coconut sugar. Save the plum pieces themselves for my Autumn Plum Skillet Tart. Continue to simmer juice slowly to reduce to a syrup, removing to cool after about 10-15 minutes. 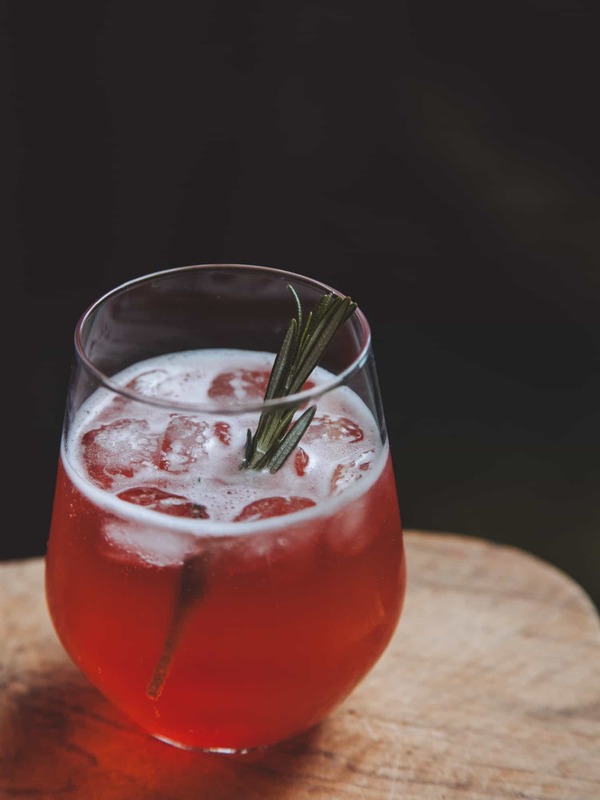 Place a couple of ice cubes in each glass, a good dash plum syrup, a sprig of rosemary and top with prosecco. 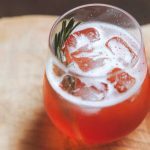 Stir with the rosemary sprig and enjoy! 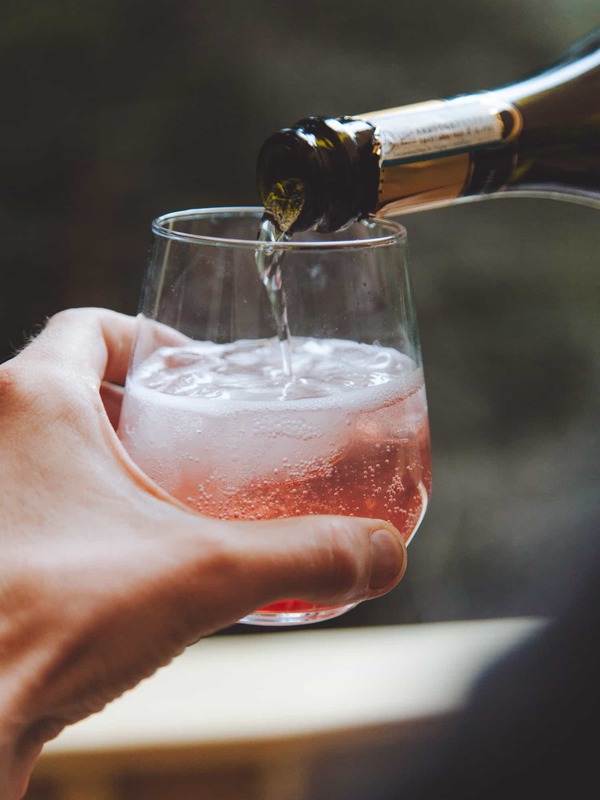 Its amazing articles and i am also love Rosemary Prosecco Spritz.